Director Shane Black has made it a point to say that The Predator will be a direct sequel to the first two movies, as opposed to a reboot. However, star Boyd Holbrook has contradicted that with a new comment to We Got This Covered that makes it seem like either that plan has changed or the actor is trying to change expectations. He also says Arnold Shwarzenegger’s mercenary Dutch may not be seen when filming begins this month in Vancouver. That “western” comment is certainly interesting. Black had previously directed a western TV show pilot titled Edge in 2015, and bringing that iconography to the Predator universe could work well, even in a contemporary setting. The cast includes Boyd Holbrook (Narcos, Logan), Olivia Munn (X-Men: Apocalypse), Trevante Rhodes (Moonlight), Keegan-Michael Key (Keanu, Key & Peele), Thomas Jane (The Punisher), Jacob Tremblay (Room) and Sterling K. Brown (The People vs. O.J. Simpson, This is Us). Black, who wrote the script with his Monster Squad co-writer Fred Dekker, has confirmed that the film remains in the continuity of the first two movies and isn’t a full reboot of the series. He said there is a reference in the script as to why the film has a singular title. 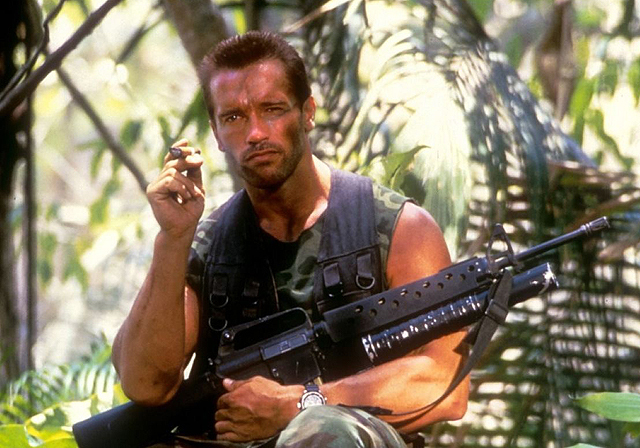 The original Predator was directed by John McTiernan and starred Arnold Schwarzenegger as the leader of a United States special forces team that comes under attack from an alien entity that prizes the thrill of the hunt above all else. It was followed by a direct sequel, Predator 2, in 1990 before crossing over with Fox’s Alien franchise for two additional sequels, Alien vs. Predator and AvP: Requiem. In 2010, Nimrod Antal helmed a reboot with a new feature, Predators. The Predator will be released in theaters on February 9, 2018.